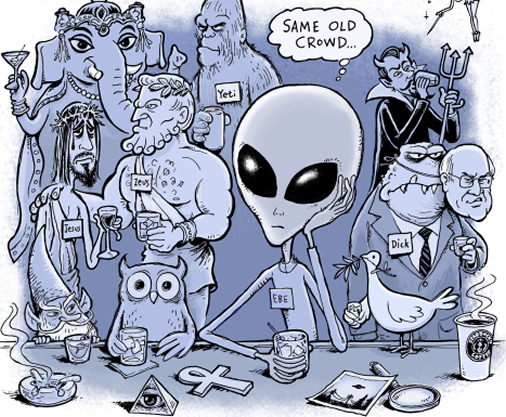 For over 50 years the American Government has been doing it's best to keep the truth about UFOs and Extraterrestrials from the general public through deception and fear based propaganda in the mainstream media. However, not all buy the sensationalized stories presented as the truth and base their beliefs on personal experience and some self propelled research and study. 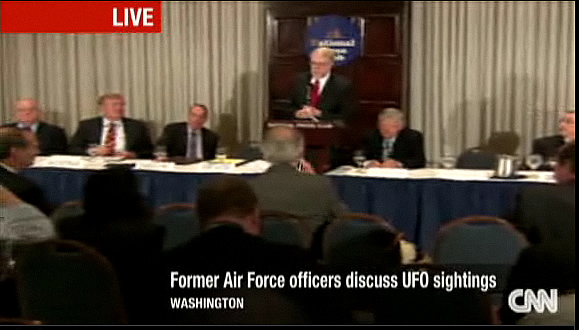 With so many Ex-Government Officials, Military Personnel coming out in the open and sharing their UFO/ET experiences with the public, Disclosure has indeed begun ! The people of our world are slowly being made aware of the truth and the world governments have no option but to give up their illusion of control and make way for the new Earth to emerge where all live in harmony with each other, as equals, as one ! 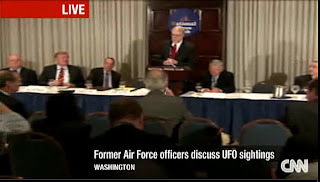 Robert Hastings, the author of 'UFOs and Nukes: Extraordinary Encounters at Nuclear Weapons Sites' moderates a distinguished panel of former U.S. Air Force officers involved in UFO incidents at nuclear missile sites near Malmstrom, F.E. Warren, and Walker AFBs, as well as the nuclear weapons depot at RAF Bentwaters. Captain Salas notes, "The U.S. Air Force is lying about the national security implications of unidentified aerial objects at nuclear bases and we can prove it." Col. Halt adds, "I believe that the security services of both the United States and the United Kingdom have attempted—both then and now—to subvert the significance of what occurred at RAF Bentwaters by the use of well-practiced methods of disinformation." The group of witnesses and a leading researcher, who has brought them together for the first time, will discuss the national security implications of these and other alarmingly similar incidents and will urge the government to reveal all information about them. This is a public-awareness issue. UFO Disclosure Project : Heralding Transformation !